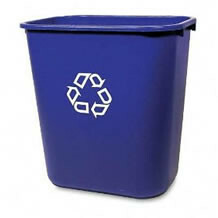 UCDC uses "Single Serve" recycling which means that all recyclables can be mixed in one container. Recyle bins on floors 4-11 can be found at the end of each hallway (away from the elevator). If you see the recycling triangle, recycle it!